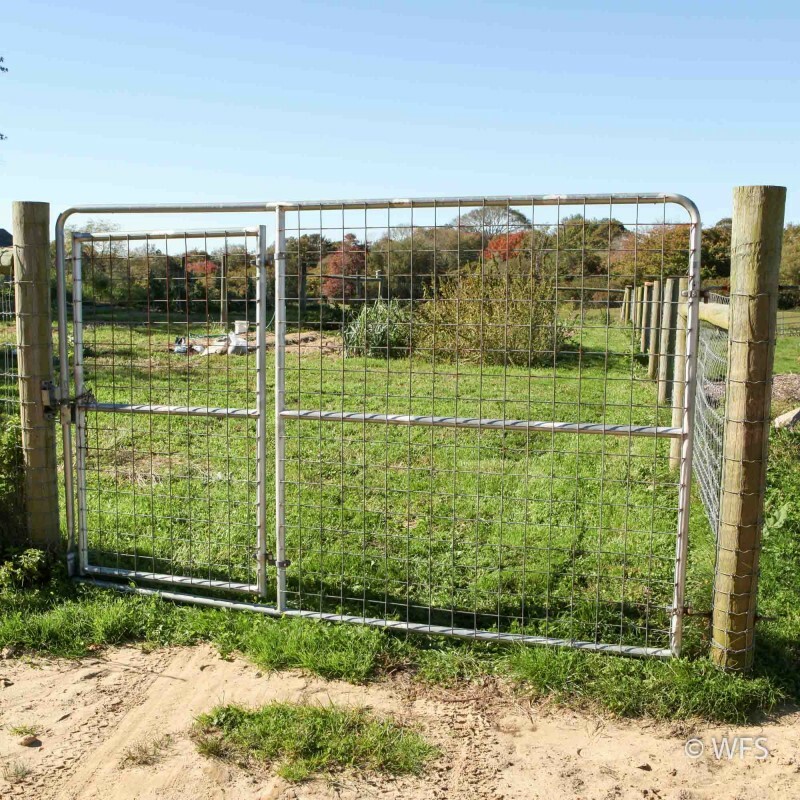 This 74" high galvanized gate boasts a strong pipe frame with built-in 4' walk-thru gate, covered with a 4x4" 6 gauge wire mesh. Wellscroft's mesh gates consist of a strong pipe frame which is covered with a 4 x 4 inch welded 6 gauge wire mesh. On gates measuring 50'' or 62'' high, a 2 x 4 inch welded 6 gauge wire mesh is also available. Gate lengths begin at four feet and increase by two foot increments up to sixteen feet. 74'' and 98'' gates have the option of containing a four foot wide walk through. All gates come with gate gudgeons. Gates 50" and 62" have 6" x 5/8" lag gudgeons, 74" have 12" x 5/8" and 98" have 12" x 3/4" bolt through gudgeons. Curved top corners, comes with a 30" chain to latch gate, gate gudgeons included.